We believe meaningful brands are built by designing better brand conversations. We make it easy to have better brand conversations using our Dynamic Brand Strategy solution. We work with people who aim to help communities thrive by adding positive value. On our second Batam Build we go! On Nov 24, Be An Idea had headed to Kabil Village for our second Batam Build with non-government organisation Habitat for Humanity. It was the second time for the brand strategy consultancy and its friends to help build strong communities. Our Learning Lunch is lunch time session where we explore what makes a good brand strategy and how organisations can start the conversation around their brand. 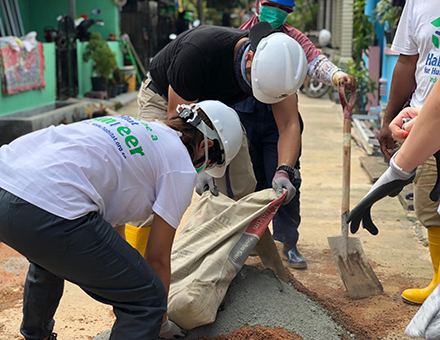 Find out about how we go beyond designing better brand conversations and help build sustainable communities with our corporate social responsibility activities.